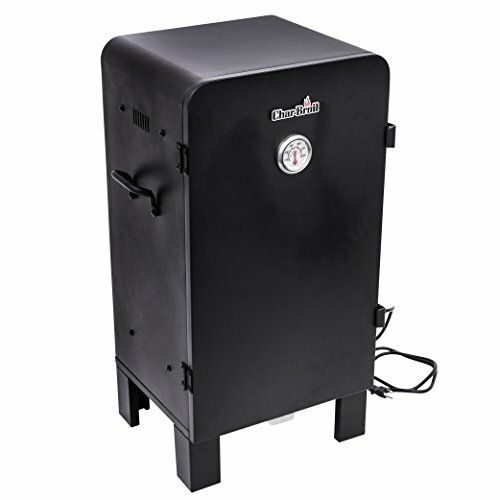 The Char-Broil Analog electric smoker features 544 square" of cooking space spread across three chrome-plated cooking grates. Double-wall insulated construction helps retain smoke & heat, while dual exhaust ports help to allow consistent smoke production & improved air flow. Features a door-mounted temperature & dual door latches to keep the unit secured. Grease Cup accessible from the outer front of the unit- wood chip tray & water tray accessed from the inner front. Measures 20.7 in w x 33.5 in H x 15 in D.